Thrive Shredded Mozzarella Cheese is the perfect ingredient to make any Italian dish magnifico! Use it in lasagna, on top of pastas or for pizza. 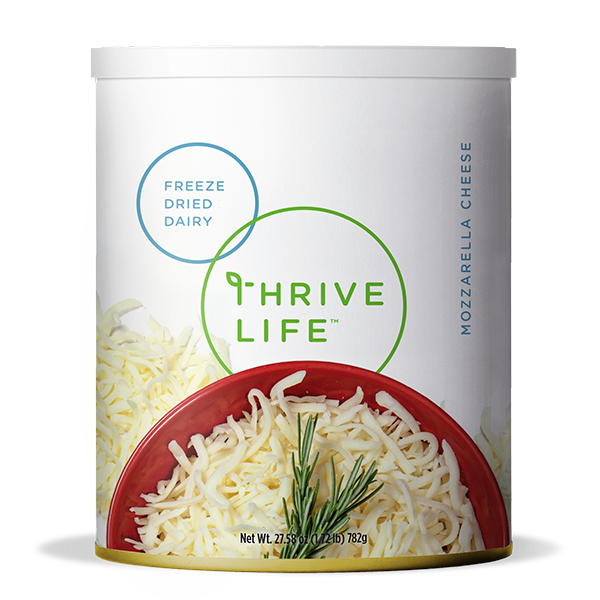 Thrive Mozzarella is made with part-skim milk making it lower in fat, but still a great source of calcium. Drizzle 3 tbsp. of cold water over 1 cup of cheese and stir until well combined. Let sit and occasionally stir for 15 minutes or until cheese has softened.